The Avery Road corridor stretches from the U.S. 33 interchange at Avery-Muirfield Drive to Dublin’s southern boundary, providing a connection from community-scale retail areas north of U.S. 33 to Columbus and Hilliard to the south. The area includes an assortment of residential and light industrial structures annexed into the city during the 1990s. Many residential structures along Avery Road have been converted to retail or other commercial uses. 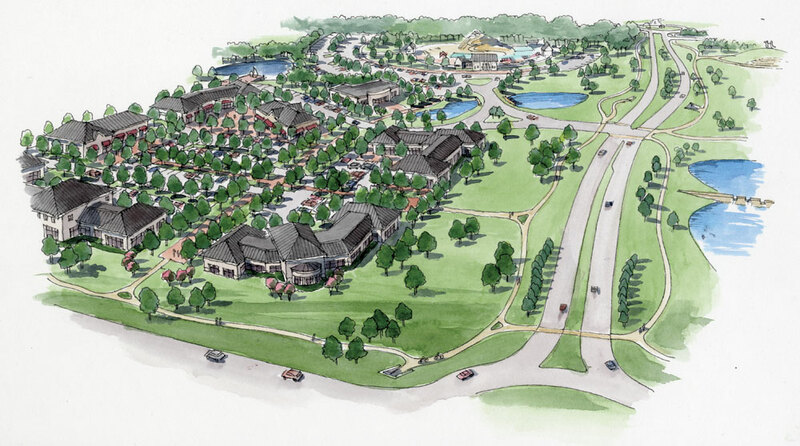 A mixture of suburban residential developments are located adjacent to the corridor, including modest single-family homes, empty nester housing products, townhomes and multiple-family apartment projects. In phases, Avery Road is being improved from a two-lane, rural road to a four-lane, major arterial with median landscape treatments. The broad range of land uses within the Avery Road corridor reflects a variety of development patterns representing a number of different time periods. As a result, the corridor lacks a cohesive character. Recent efforts to improve the area include the establishment of a significant greenway and park system along Woerner Temple Road. Ballantrae Park, at the intersection of Woerner Temple Road and Avery Road includes the Dancing Hares public art sculpture and water play area, while the Dublin Community Pool South is located nearby. These high quality civic amenities enhance redevelopment potential along the Avery Road corridor and provide an opportunity to promote a low density mixed use development pattern to serve surrounding neighborhoods. As a major north-south route through the center of Dublin, transportation issues define the Avery Road corridor. Landscape treatments and roadway design, in conjunction with road widening projects, will be integral to providing a cohesive visual character for the corridor. Necessary right-of-way expansions to accommodate these improvements will continue to generate land use and access management challenges with respect to existing residential and commercial properties. Historic structures and a historic township cemetery along Avery Road have presented challenges to road widening and alignment solutions. The construction of a new roundabout at the intersection of Avery Road and Tuswell Drive/Innovation Drive in 2008 required the removal of a residence listed on the Ohio Historic Inventory, while the nearby St. John’s Lutheran Cemetery was successfully preserved. The City has begun acquiring land in the southern portion of the corridor in preparation for additional roadway widening north of Rings Road; an historic barn in this location presents an additional physical constraint. Future interchange improvements at U.S. 33 will have a significant impact on industrial uses near Shier Rings Road, although the timing and design of these improvements is uncertain. Establishing gateways for the West Innovation District and Shier Rings TechFlex District, encouraging appropriate technology-based office and industrial research uses, and retrofitting existing industrial uses to better fit with the overall context of the area will be important to the future success of this highly traveled corridor. Land in this area was rezoned in 2011 to the newly adopted Research Office and Technology Flex zoning districts to facilitate these goals. 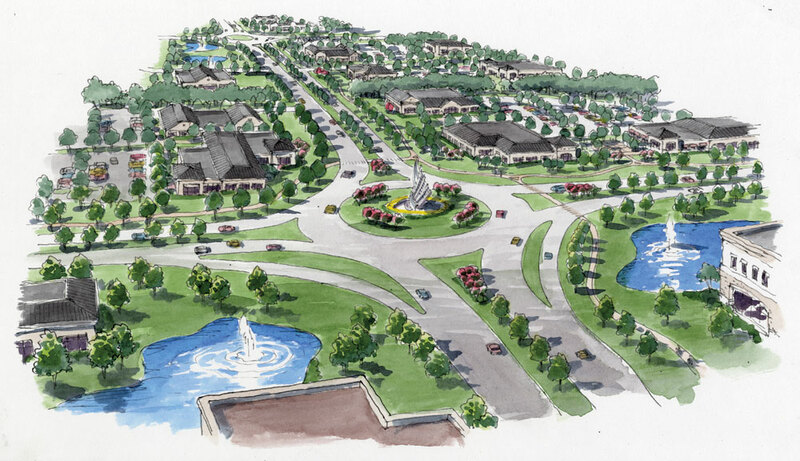 The Avery Road Area includes a variety of uses, architectural styles, building materials and site development standards that reflect decades of development prior to annexation. As Avery Road is widened to an arterial with median treatment, the need to provide a consistent appearance and identity will be important. Improved architectural quality and more unified setbacks will provide the basis for a cohesive architectural “look.” Street tree and median plantings will greatly improve visual quality; however, significant efforts to provide substantial landscaping within front setbacks and around buildings will provide the greatest benefit to establish a unified corridor. 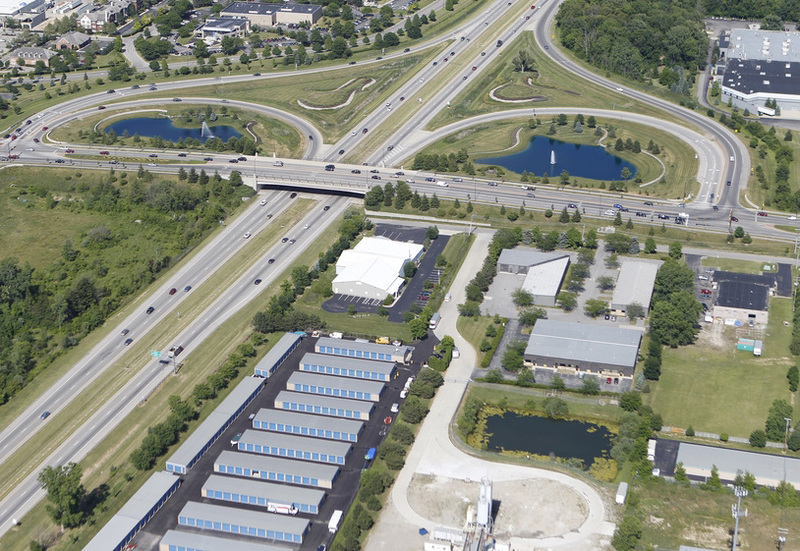 The U.S. 33 interchange provides a significant entry point into the West Innovation and Shier Rings TechFlex Districts and the city as a whole. The current appearance of the intersection at Shier Rings Road does not adequately portray the importance of the corridor as a home to many existing thriving businesses, and additional focus should be given to blend with development quality north of the interchange. Road design, landscaping, architectural scale and building massing are integral design elements, and interchange improvements may have important future impacts. The Avery Road Area is host to a variety of important historic resources such as barns, cemeteries and historic structures that should be clearly considered as development occurs. The specific alignment of roadway improvements and other capital projects should be sensitive to the architectural, historic and social heritage of the area. Avery Road provides a significant opportunity to maximize the benefit of both public and private uses for surrounding residences. 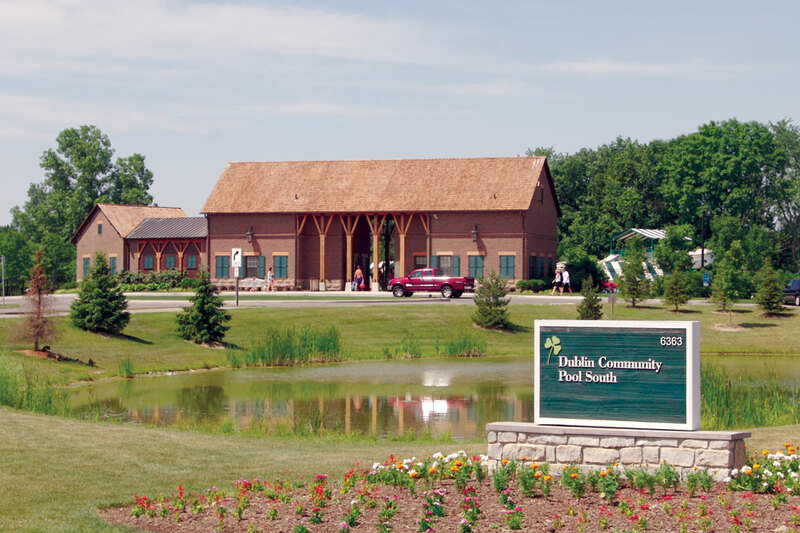 The co-location of neighborhood services with Woerner Temple Community Park and the Dublin Community Pool South can create the opportunity to provide convenience for area residents through a more walkable and connected environment. Pedestrian-oriented streets, on-street parking, and a mix of uses can be integrally linked to surrounding areas in a corridor that currently has a distinct auto orientation. Throughout the Avery Road Area, greater pedestrian connectivity could result in better access to parks, neighborhoods and commercial support uses. With pre-annexation development patterns and a mix of non-integrated uses, pedestrian movement is now highly difficult and sidewalks and bike paths do not comprise a complete system. As redevelopment occurs and major road projects are completed within the Avery Road corridor, greater road connectivity and cross-access are also needed to provide improved internal circulation, establish safe, managed access, and minimize impacts to the arterial roadway network. Local streets within the area can play a vital role in shaping overall character and visual quality. The orientation of roads to provide views onto open space, architectural features of buildings or public art is important to create defined and enclosed views. Buildings should be oriented to the street with direct sidewalk connections, and maximizing the use of on-street parking will improve conditions for pedestrians to safely move. Clear pedestrian corridors and paths can provide important links from parking areas and public spaces to the street, and the use of alleys and rear service areas can greatly reduce visual clutter and lessen the impact of cars for pedestrians. As a major north-south corridor connecting to Hilliard and Columbus, major transportation network improvements are expected within the area. These upgrades will include road widening projects, multiple roundabout installations and major interchange upgrades. As traffic levels become significant in the future, access management and safety will become increasingly important challenges for the design of individual sites. Efforts to provide shared access and more efficient use of parking will be important for smaller commercial sites where space is limited. Consolidation of smaller non-residential parcels will be highly encouraged to provide more development flexibility. 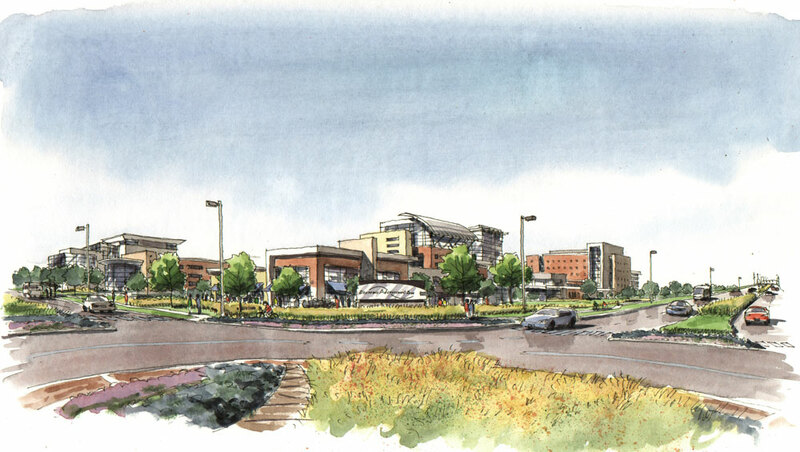 …To establish a cohesive corridor appearance in this transitional redevelopment area through road design, landscape architecture and architectural/site layout principles in a manner that accommodates a mix of land uses with greater pedestrian connectivity and integration with surrounding neighborhoods. I am very pleased that there is an actual plan in the process of being designed in regards to widening Avery Road from a 2-lane to a 4-lane. When this goal does become accomplished, I would also like to see a plan in place in regards to the formation of bike paths and/or sidewalks. I ride my bike all the time, it's my sole means of transportation. However, because of Avery Road's current rural 2-lane road, I can't ride my bike on it because it's just too dangerous; there's a lot of traffic packed into those 2, skinny lanes. I just know that, not only for myself, but for other people who consistenly utilized bike paths and/or sidewalks; those would be extrememly beneficial to have in place. Keep up the good work and thank you very much for your time. Sincerely, Katie Hale.